Is the Housing Market really bouncing back? The National Association of Realtors certainly believes so. 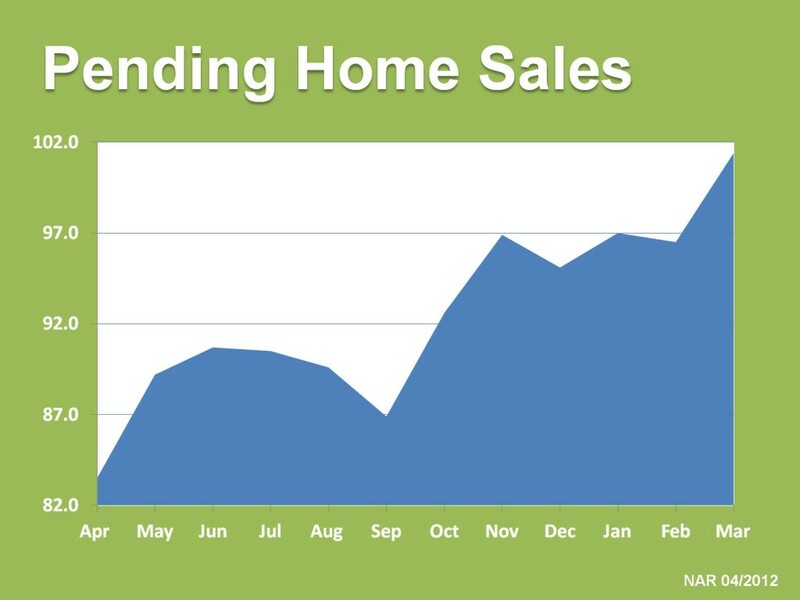 NAR recently released their March 2012 Pending Home Sales Index (a forward-looking indicator based on contract signings) and their numbers do show a strong March. According to this report (you can get their report HERE) March 2012 is shows an increase of sales contract signings of 12.8% above March 2011. The Index’s score of 101.4 is the highest score since April 2010. The full store from NAR can be seen HERE.